Shamanism is an eclectic concept. It transcends culture. It smashes tradition into tradition and comes up with transformation. From the traditional to the nontraditional, shamanism wears as many masks as can be imagined: wolf mask, owl mask, whale mask –tribal shaman, urban shaman, disaster shaman. But most of all it reveals the naked vulnerability of the human condition beneath all masks. It reveals the interconnectedness between all things. Nontraditional urban shamans, or neo-shamans, provide a way for modern codependent beings to become independent enough to connect interdependently with the greater cosmos. They provide a sacred space for people who are stuck in the nine-to-five drudgery of modern life to shed their thick city “skin” and become more vulnerable and intimate with cosmos and soul. For the neo-shaman, church is everywhere; sacred ground is all places. They are here to bridge the gap between opposites. They are here to sacrifice space and time. They are here to dissolve the Matrix and reveal the Desert of the Real. They are here for ego dissolution and soulful revolution. Most of all, they are here to drag the layman –kicking and screaming if need be– into a future without limits. 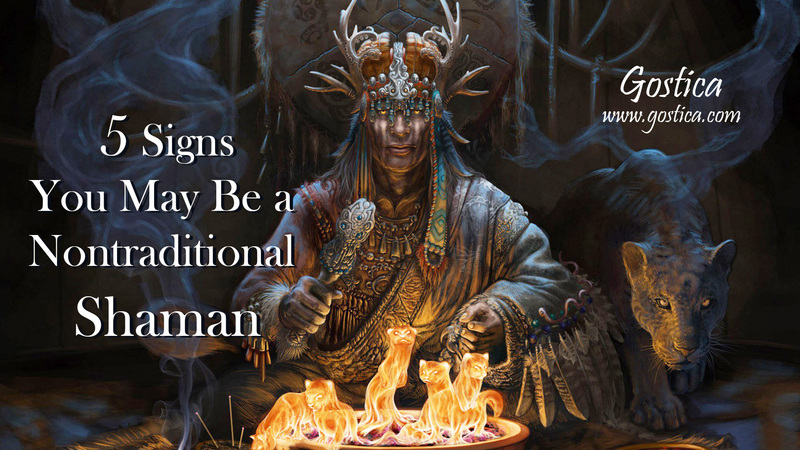 Here are five signs you may be a neo-shaman. Life is a rollercoaster ride, but you’ve learned to appreciate the highs and learn from the lows. As a shaman, you have experienced the highest highs, in numinous arrest and transcendent awe, but you have also experienced the lowest lows, in the soul-crushing grip of a Dark Night of the Soul. Or even multiple Dark Nights. It was in the Dark Night that the hidden treasure of your initiation was revealed. In the bleakest black your heart buckled and blurred, but a profound magic came from it that transcended heaven and hell. It propelled you beyond good and evil. This magic usurped your spirit and sharpened your soul into a multi-edged sword that dares to cut deep into the heart of all things. Most of all, the Dark Night revealed the pulsing blister of your primordial wound, the lingering wound that we all share as mortals. As such, you are a walking wound just as intensely as you are a walking meditation, but you are a wound in the throes of constant healing. You are able to bridge the gap between the sacred and the banal. You are a periphery keeper: a bridge between Nature and the human soul. You catch songs just as theatrically as you unleash dance. You build metaphorical and metaphysical bridges just as profoundly as you weave webs between psychological and philosophical constructs. No domain is off-limits. No boundary is free from being transformed into a horizon. In the throes of “intentional schizophrenia,” you’ve learned how to transmigrate your soul. Between either-or, between neither-nor, there is a sacred space, a middle-way grace, that you’ve learned to balance on like a tightrope between man and overman. In this space, you’ve learned how to unlearn in order to relearn, decondition in order to recondition, and deprogram in order to reprogram. And then you have the spiritual wherewithal and existential daring to come back to the “real” world and disclose your shamanic treasures.